Value Range Marketing—What are you talking about ? Have you noticed any homes for sale showing up in multiple price searches with a description similar to this : Sellers will consider offers between $275,000 and $228,876, then you have been exposed to Value Range Marketing ! A property is listed with a nod to a buyer’s preferred price — that is, the lower end of the range — and at the higher end of the range is the seller’s ideal price ( i.e. $275k to $325k) The range tells buyers that sellers will entertain offers between those numbers, and if a bid is made within the range, the negotiation process may begin. “A lot of buyers ( and I) simply say ‘Why on Earth would I offer any more than the bottom end of the range?’ ” It has caused confusion and maybe that’s due to little explanation by the broker prior to offers. After making a solid offer that wasn’t accepted, some buyers have become confused and upset .Some buyers feel that if they’re making an offer within that range, it should be accepted.Some buyers feel like it is a bait and switch, where they are lured in with what looks like a decent price but then told they can’t have that price. So it affects everyone involved in the sale and can leave a lot of negative feelings. Some list agents use it as a crutch because they don’t want to list at the sellers desired price , knowing that buyers won’t bother to look at at with a price that’s out of line with comparable home values. 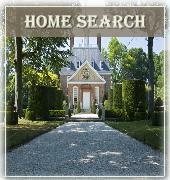 The concept has come of age most property searches. like realtor.com, Zillow, Trulia and area MLS’s . Properties with range pricing allow a property to come up in more searches. So a property range priced from 275k to 325k shows up when you search both the high and the low dollar amounts. Hence it does get more exposure showing up in multiple different price range searches. The theory is engage a buyer by getting them to submit an offer. Hopefully the buyer can then be moved upward to an amount acceptable to the seller. Supposedly the advantage of using value-range pricing in this market is “giving people the opportunity to think they have the chance to negotiate" . But I can tell you that buyer view range-pricing with great skepticism, and if they do make an offer, they look at the lower price, and want to go down from there. A review of the stats for homes sold in an out of state area shows it didn’t work very well in that market..
Of the 28 that closed, ONLY SEVEN SOLD ABOVE the original low end of the range. It should occur to those touting the range-pricing that if some buyers are turned off by range-pricing, that is bad for the sellers! Check the stats, it isn’t producing the benefit you think it is. 75% of recent solds closed below the original bottom of the range! Range-pricing is the lazy man’s way to pricing a home. Don’t risk alienating any buyers, hire an agent who can pinpoint the value. What about you ? What do you think ? Want to discuss marketing your home ?